Presents an overview of the 'Design Guide for Cool Thermal Storage' The Guide is intended to assist engineers, architects, manufacturers, developers, building owners and building managers in selecting the appropriate, cost-effective cool storage technology for a given application. 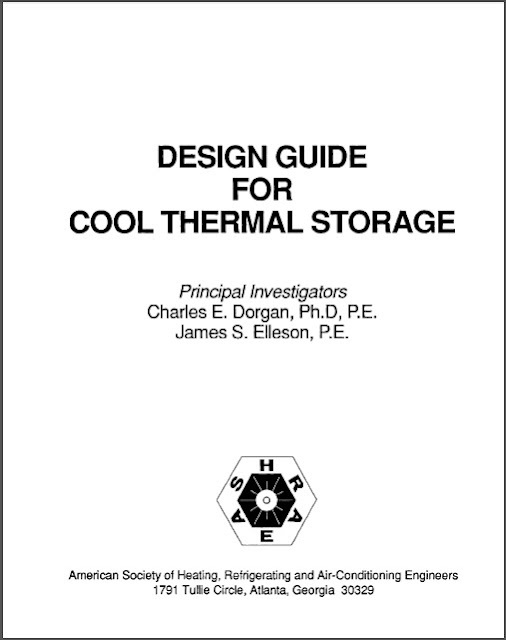 It is intended to be a first-level reference to design and implement successful cool storage systems. Outlines the cool storage design procedure and explains important sizing considerations. Presents a cooling plant/ storage sizing example.